The surge in international interest in the Philippines’ burgeoning business process outsourcing industry – particularly within the IT and business processing management sectors – now means that over 1 million Filipinos are now employed in an industry that is responsible for 11% of the nation’s GDP. This year, that figure is forecast to increase by a massive 1.5 million new jobs, which speaks for itself in terms of how much this industry could potentially contribute to our country’s growth, provided sound international relationships are maintained and developed. Similar to that of the BPO industry’s rising profile in terms of international investment, the retail sector is attracting similar attention, which also bodes well for working Filipinos who it seems now have increased spending power to match the increased supply of goods. More international brands are now available in Philippine malls as mall operators take advantage of the upturn by also making their venues a source of entertainment for shoppers, such as the major concert and event arenas sprouting up in or next to malls in the capital. While bringing in massive revenues for operators, casinos and other gaming outlets are seem as enhancing both the leisure and hospitality sectors, with more international visitors coming to Philippine shores to sample the increasingly satisfying gaming experience. This year and in 2018, the capital will see 2 additional casino complexes open up to rival those already operating here, all of which speaks to just how much of a destination the Philippines can truly become outside of beach tourism. Only time will tell whether we can match the drawing power of regional neighbour Macau, but it will certainly make for some very interesting viewing. In 2014, tourism brought in a whopping US$4.84 billion, which was up an equally impressive 10% from the previous year, which saw almost 5 million international tourists visit the country. The stated goal of the national government is to grow this number to 10 million. As to whether or not the current infrastructure can cope with this increased capacity (despite considerable improvements under the current administration) remains to be seen, but initiatives such as the removal of taxes for international airlines and more relaxed policies governing aviation are expected to encourage this forecast growth. Despite relatively low occupancy rates in the key business areas of the nation’s capital, vacancy rates did decrease from 2.53% to 2.13% during the last quarter of 2014, which spurred on investors to continue viewing the Philippines as a place to be in terms of operations, and allowed for a positive outlook to be maintained. 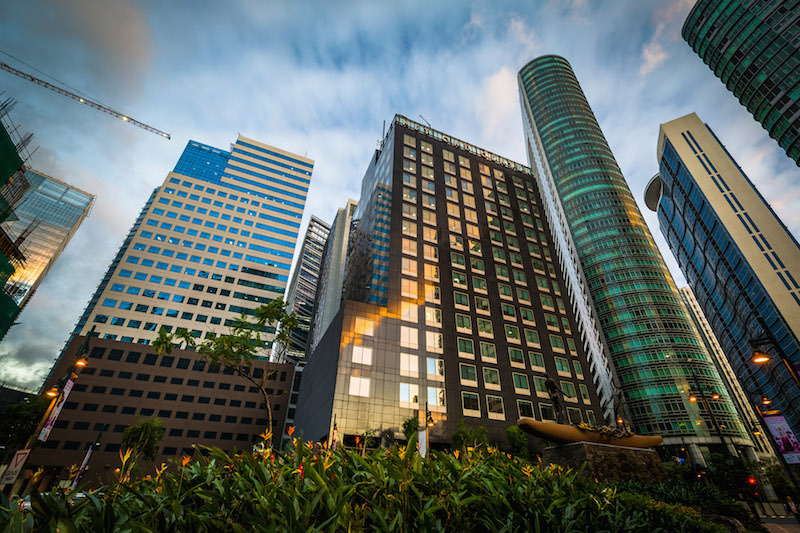 Also, regardless of increasing rental rates per square meter in Makati, BCG, Quezon City, and Alabang, the overall demand for office space is still on the rise, which is a good indicator of what could be in store in the short- to medium-term future. If you are from any of those or any other industry and need some help with your HR and Payroll processes, please contact us at genius@justpayroll.ph.